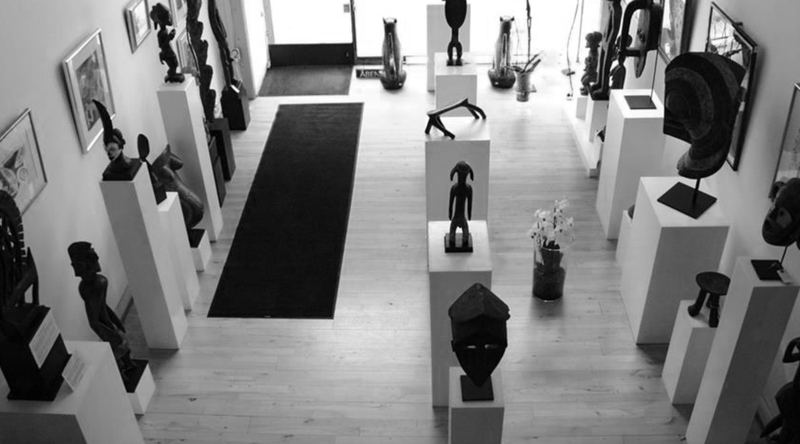 CHRISTA´S Fine Tribal and Modern Art Gallery, one of Copenhagen´s exclusive galleries, exhibits fine tribal art works from Africa and India and contemporary western art inspired by primitivism. Primitivism arose in the late 1800s in the wake of colonialism, as a driving force in European art. Western artists were first to respond to the power and beauty of so-called “primitive art”. Particularly the immortal carvings of West and Central Africa, which were not created as art at all, but as utilitarian and ritual objects, where adopted by the European avantgarde. Many great artists, such as Paul Gauguin, Pablo Picasso and Henri Matisse showed their interest as early as the nineteenth and early twentieth centuries, and the African influence shows through their sculpturing and painting. Later, artists such as Paul Klee, Constantin Brancusi, Corneille, Miró, Kandinsky and Appel, not to forget Denmark´s own Emil Nolde, Asger Jorn, Robert Jacobsen, Knud Nielsen, Egill Jacobson and Carl-Henning Pedersen paid homage in their works to the same primal source of West African inspiration. In a new millennium, with Africa continuing to command attention for its prehistoric relics and riches, and its culture in crisis, “primitive” art holds a message for many. Fortunately, there are competent contemporary ethnographers and Danish art historians contributing to the dissemination of knowledge and preservation of this superb genre. CHRISTA´S Fine Tribal and Modern Art Gallery keeps abreast of developments and maintains sources of supply through art auctions, international art fairs in Brussels and Paris and through well-established purchasers, professional ethnographers and art educated experts, who travel in Africa, Oceania and India and develop local contacts. These purchasing agents also purvey leading American and European museums and dealers, and they provide guarantees for the authenticity and origin of delivered works, both antique and contemporary.